If it’s true that social media is just a new-school version of old-school word-of-mouth, then a lot of small businesses stand to gain from utilizing social media. 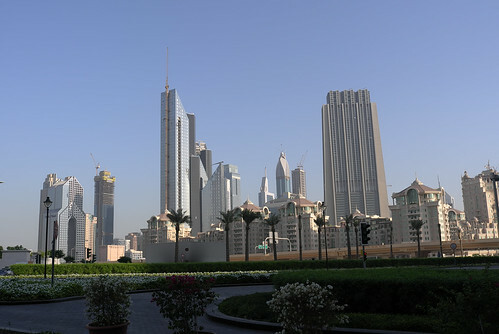 Nowhere is that more apparent than in Dubai, UAE, where a July event called the “UAE Social Media Day” was held in efforts to link small businesses and home offices with the ever-burgeoning world of Facebook, Twitter, and other social media. Many local business owners and entrepreneurs in Dubai are as connected in the social media loop as anyone on that planet, and that was apparent at the recent “UAE Social Media Day” meetup. As it turns out, this event was simply one of many across the globe the same day. But for the people who attended the Dubai meetup, the conference came with good lessons and a new outlook on the future of small businesses. The Al Fattan Tower in Dubai offers some intriguing views over the city. For people like Mita Srinivasan, the view from Social Media day might have gone even further out. Mita Srinivasan, the event organizer, explained to Gulf News that because many start-ups, home offices and small companies don’t have enough marketing money to compete with their corporate rivals, social media like Facebook and Twitter give the smaller guys opportunities to punch back. In other words, even the small businesses in Dubai – and, indeed, across the world – have a fighting chance against corporations when customers are empowered through social media. Word-of-mouth advertising and online reputation can be difficult to categorize. However, anyone who’s ever learned about a new product or service because of clicking a link that was shared on Facebook or Twitter knows the power of today’s social hubs. Dubai’s current Mashable Meetup.com online presence is going strong at 153 members, but the truth is that Dubai’s meetup was a satellite meetup for a worldwide social media presence. 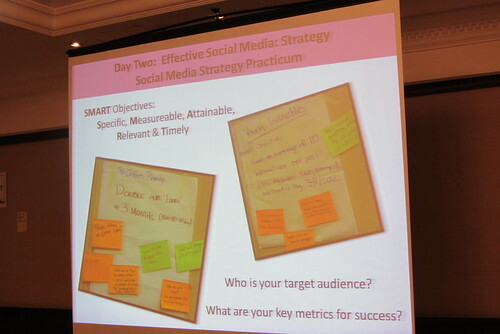 This was the third annual Social Media Day in the UAE, with the previous two having been held in June of 2011 and 2010. The UAE version of Social Media Day was another local event in a series of Mashable.com-related social media events all across the world in almost 300 cities. Of course, just because Dubai has been holding this event for the past three years doesn’t mean it’s time for the trend to end. In fact, social media continues to grow in power and influence – and future meetups will reflect that fact. The Social Good Summit being held this September is another similar international Social Media summit that will be held internationally, with cities as diverse as New York and Sao Paolo. There will be many opportunities for the attendees of the Social Good Summit to learn not only how social media can be used to help their business, but how social media can be used to help others. Guest Author: David Ching works for EQA Office Furniture, a California retailer of workstations, office cubicles, conference tables, reception desks and office chairs. EQA ships products nationwide to their clients.